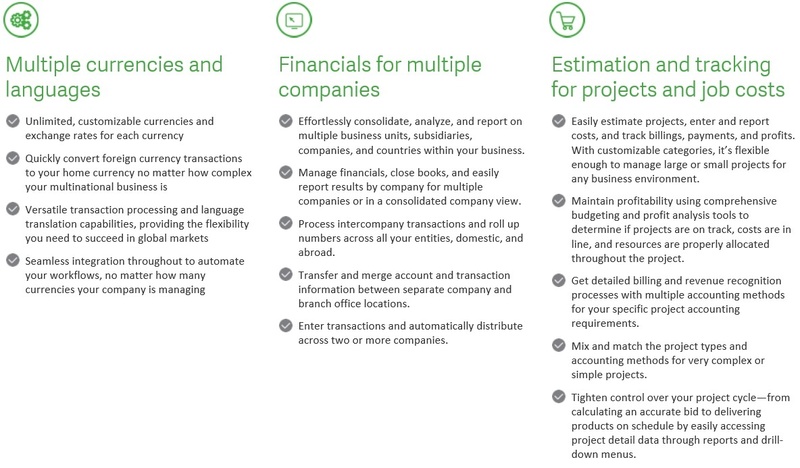 Whether your business has one or several locations in the same city or accross international borders, Sage 300cloud helps you manage finances, operations, and inventory in multipls languages and currencies. With real-time, mobile access and visibility across your entire company to keep your business on track. Break down departmental silos for companywide transparency and improved collaboration. Tap into real-time, unified view of your company's finances and operations. Reduce inefficiencies and redunancies so you can optimize company performance, productivity. Integrate front-to-back office processes such as marketing, sales and customer service.